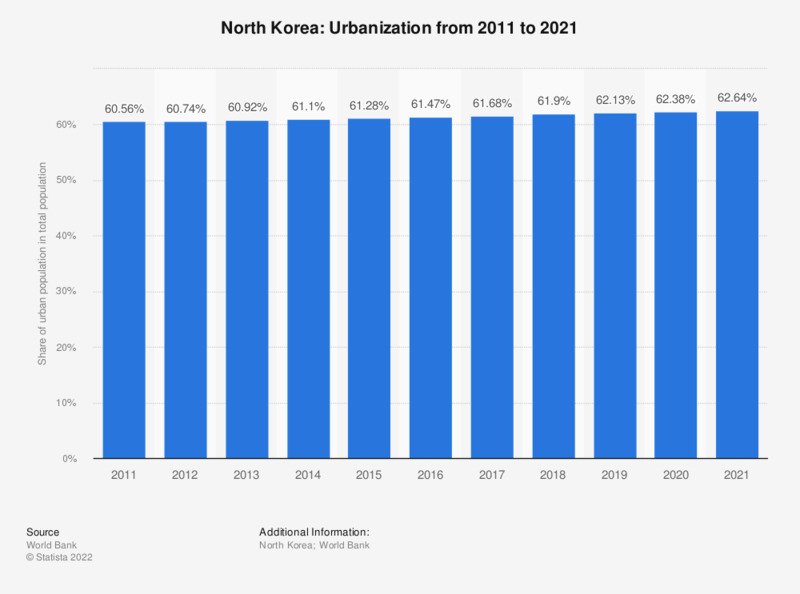 This statistic shows the degree of urbanization in North Korea from 2007 to 2017. Urbanization means the share of urban population in the total population of a country. In 2017, 61.68 percent of North Korea's total population lived in urban areas and cities. Everything On "North Korea" in One Document: Edited and Divided into Handy Chapters. Including Detailed References.